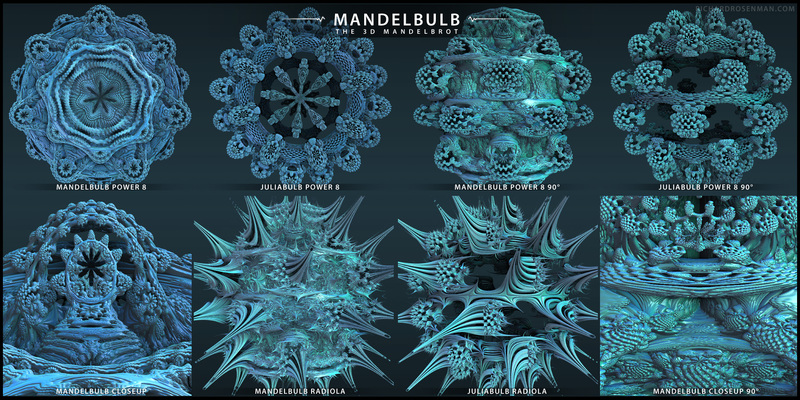 The Mandelbulb is a stunning three-dimensional analogue of the Mandelbrot set, constructed by Daniel White and Paul Nylander using spherical coordinates. 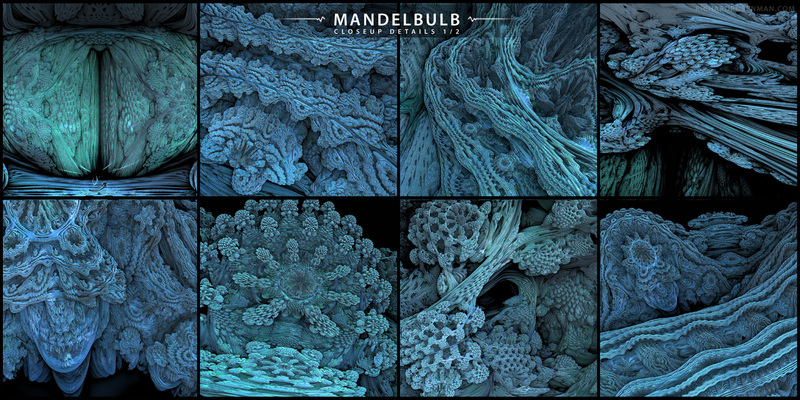 The Mandelbulb is generally rendered using raymarching & distance estimation (DE) functions. 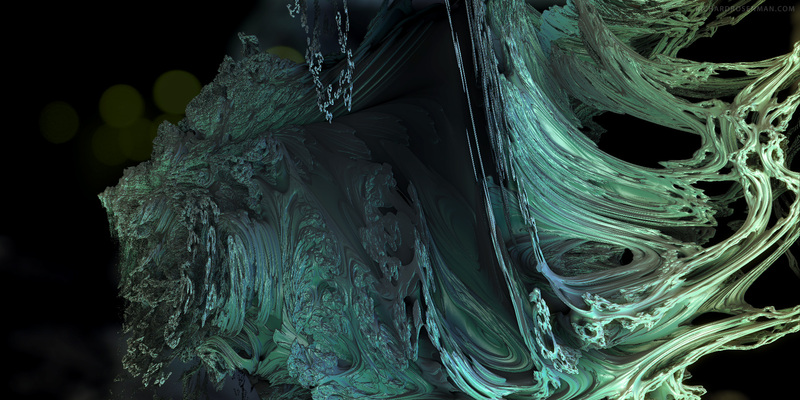 A ray is cast outwards in z space from each pixel and incrementally ‘marched’ forward by varying step amounts until it hits a Mandelbulb point, at which time it can be shaded using traditional Lambert or Phong techniques. 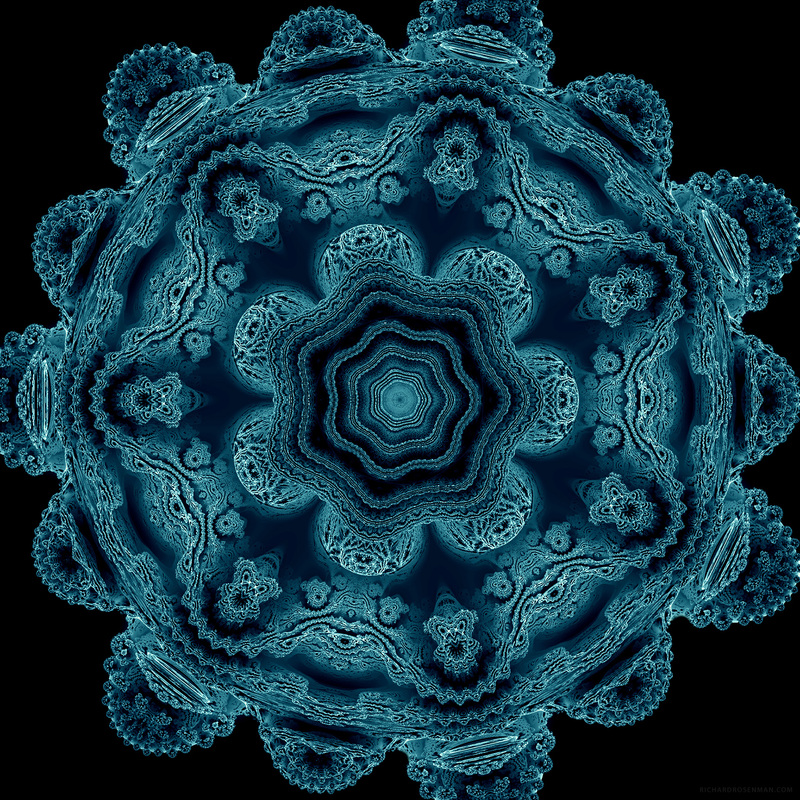 Because it’s a fractal, zooming in is resolution-independent and will consistently yield new features. 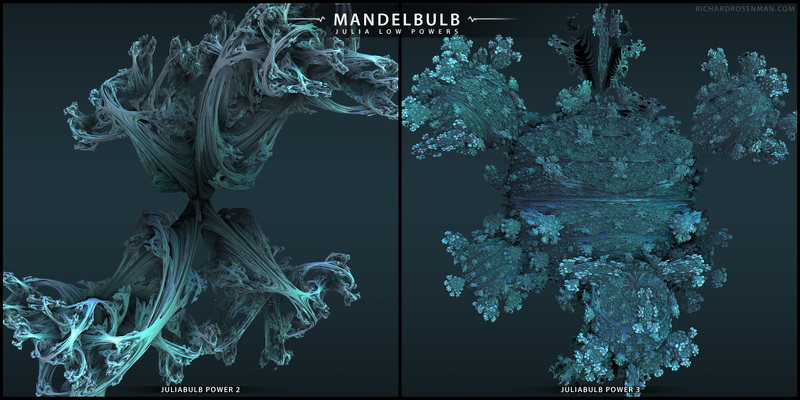 The Mandelbulb is generally represented in the 8th power but lower values produce truly impressive results. 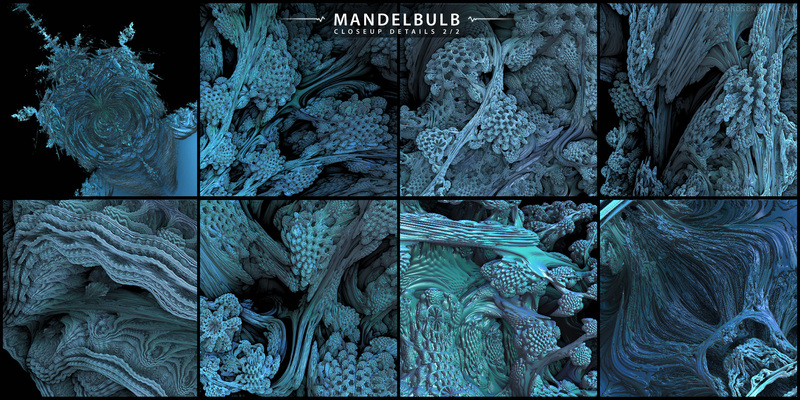 There’s lots of amazing imagery and information about the Mandelbulb here. 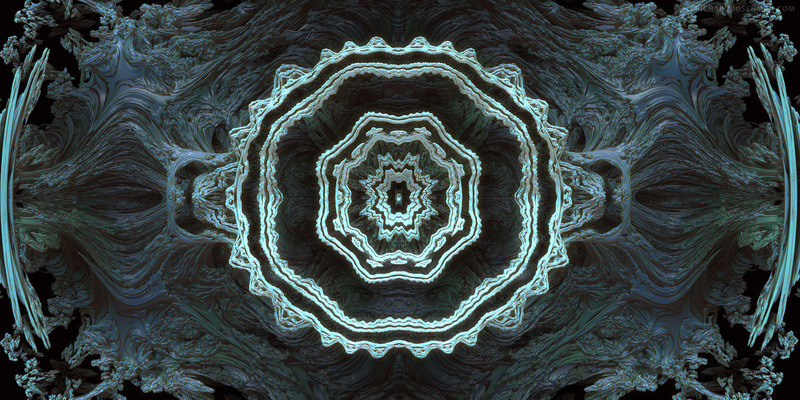 These are experimental renders of the Mandelbulb using Tom Beddard’s fantastic Pixel Bender script. He has implemented Phong lighting, raytraced shadows, camera translation and ambient occlusion in his script. 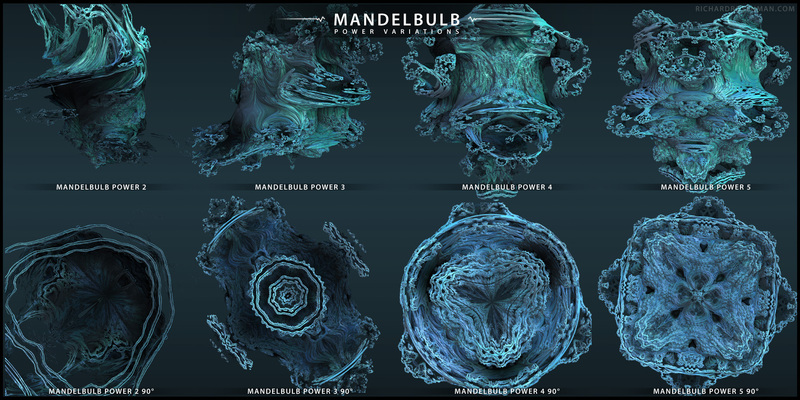 Below is a more detailed analysis of the Mandelbulb and its details found at different levels, using various settings.